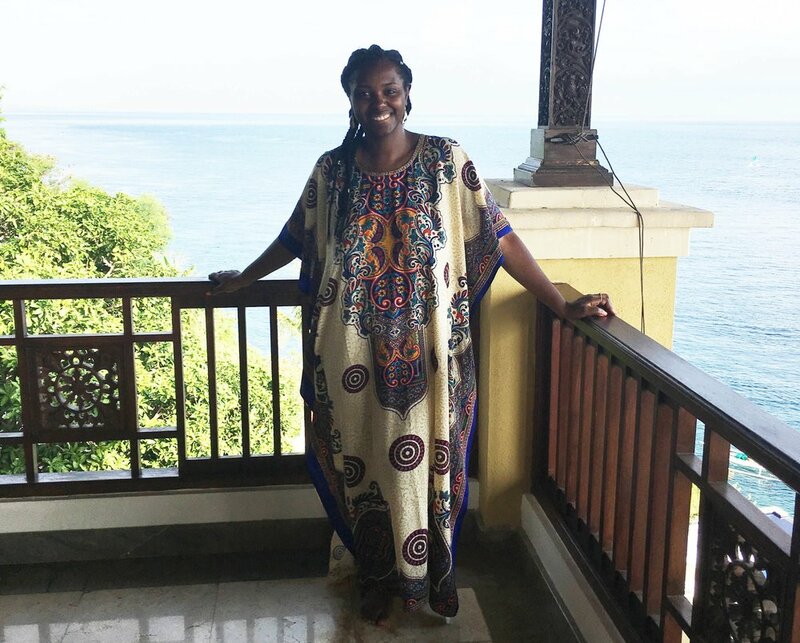 Last year, I had the pleasure of visiting the island of Bali for a girls trip!! Our group consisted of nine beautiful ladies and we had the most amazing time. Before the trip, we didn’t all know each other but the time we spent traveling helped us to get to know one another and I really enjoyed bonding with my fellow ladies. The best part was that this trip didn’t cost more than $1,500 dollars! Bali is a breathtakingly beautiful island. The lush countryside is filled with mountains and volcanoes and the people are nice and friendly. Bali is also an incredibly cheap island to visit and I’m here to give you five tips on how to travel there on a budget. 1. Getting There: My airfare for Bali was $800 roundtrip. We flew on Singapore Airlines which was great. Each flight started off with a warm towel, with multiple meals and snacks. They even gave us a little travel pouch with an eye mask and socks. The only downside to traveling to Bali is that it’s far. We had two layovers and the total of our travel just in airtime alone was 21 hours. Part of our group paid around $660. They left a day earlier to arrive on Thursday instead of Friday and left a day early with a 20-hour layover on the way home. 2. Accommodations: We rented an AirBnb in Amed. Amed is on the Eastern coast of Bali. It’s a small area consisting of homes as well as hotels and villas. Our villa had three rooms that sleeps 10 people. For 5 days, each person paid $150. Our villa was ocean air, but we did have AC and a housekeeper who was there to arrange trips if we wanted and to cook for us if we asked; food was not included. Be mindful of where in Bali you will be staying since the island is very spread out and some places are difficult to get to without a car or motorbike. Our villa was far from Ubud or Canguu so we had to drive at least two hours to get to most of the hotspots. 3. Money: I brought US $400 with me to Bali, which is about $5.5 million Rupah, the Balinese currency. This was the only money I spent while in Bali. This was enough for me to buy gifts for my family as well as gifts for myself, it covered my food as well as activities and transportation. After conversion, I would say that most meals probably cost about $10 US. Transportation roundtrip for six hours was about US $6. 4. Sight-seeing: The Bali swing is a must and spent about two hours there taking pictures. It cost $95 for entry, lunch, transportation, and waterfall. We also went to Tenguen Waterfall and we were not allowed in the water, which was fine with us since the water was brown. We weren’t really impressed and it was a very far walk down and back up. Honestly, I got a little sick after that walk. We spent some time in Ubud which is very trendy, and probably more for tourists than the real Bali experience but it was still really nice. We went to a beach club called the Lawn in Canguu and had some amazing food and drinks. I would recommend it, if you find yourself in that part of the world. 5. Favorite Moment: The highlight of the trip for me was the climb up Mount Batur. Mount Batur is one of the volcanoes in Bali and it’s popular to do a Sunrise hike. We were picked up at 1 AM and started our hike at around 4 AM. It took two hours to reach the top, and it was a pretty intense hike. We climbed up rocks, and had a couple of falls but the view and the satisfaction of making it to the top was worth the near-death experience. For me personally, I took the time to truly enjoy my time away. I didn’t check emails while I was away, and tried to limit my social media to only posting a few photos while I was there. It was a beautiful vacation and I am so happy that I had the opportunity to go and that we all made it back safely! Elizabeth DeHaan is an avid traveler, foodie, and Netflix addict. When she can finally tear herself from her latest show, she runs a lifestyle blog called enovaturient.com. Follow her at @e_novaturient to find out what she's up to!